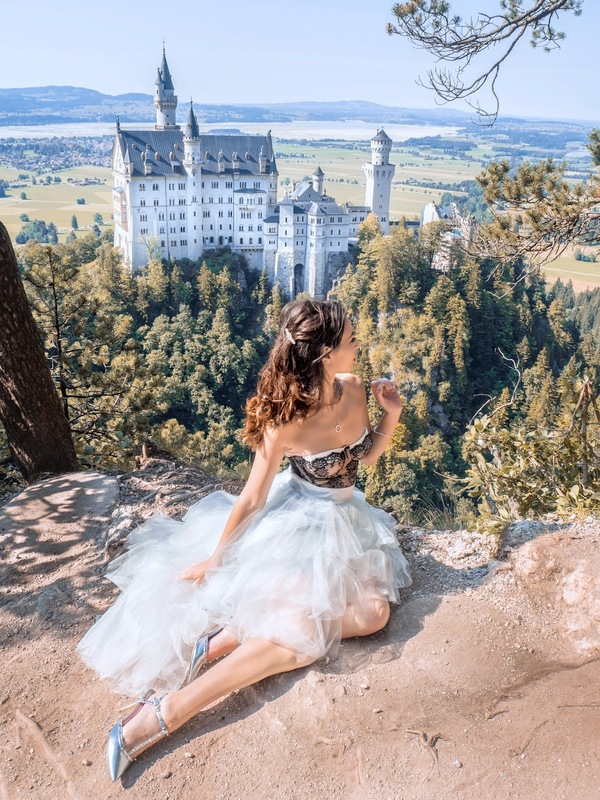 It was also the inspiration for Sleeping Beauty's Castle in the original Magic Kingdom in California, which just made me love it even more of course! I knew I had to one day see it for myself and decide whether or not it was all hype or if it was worth it. Spoilers: it was totally worth it. So I thought I would take you on our road trip with us. We flew into Munich airport, but the castle itself is actually located much further south, right in the heart of the Bavarian countryside. We rented a car for four days and took the most wonderful drive. Also, I normally do note prices when it comes to my trips, but because the majority of this was paid for as a birthday present to me by my boyfriend, I'm not totally sure of some of them, but I will note them where I can! I'm also very aware of how late this post is. We visited back in June and I'm only just writing this now. Clearly I've been procrastinating! However, it's finally here and I can't wait to tell you more about our little journey! 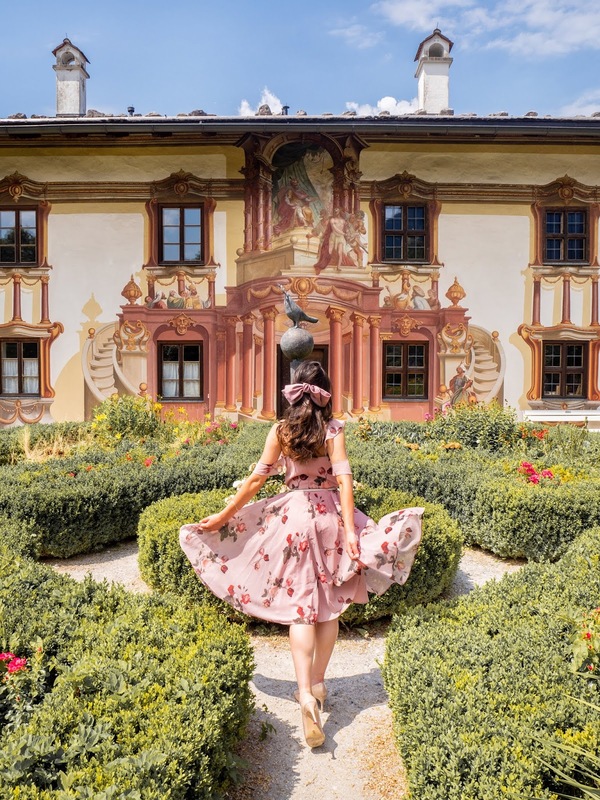 We took a route from Munich Airport that passes through the little mountain town of Oberammergau, a quiet and rather scenic look into the German countryside at its finest. Full of gorgeous painted buildings, cute little gardens and tucked away alleys, it felt like the perfect place to stop and have a spot of lunch. We split a pizza from the nearby cafe and watched the world go by for an hour before heading onwards. The parking here is free so it's a lovely place to stop for a rest break. There is also an absolutely gorgeous Christmas shop which is where I ended up purchasing my ornament for this trip. For our first night in Germany we stayed in the little town of Füssen, which may be one of the prettiest little towns I've ever visited. 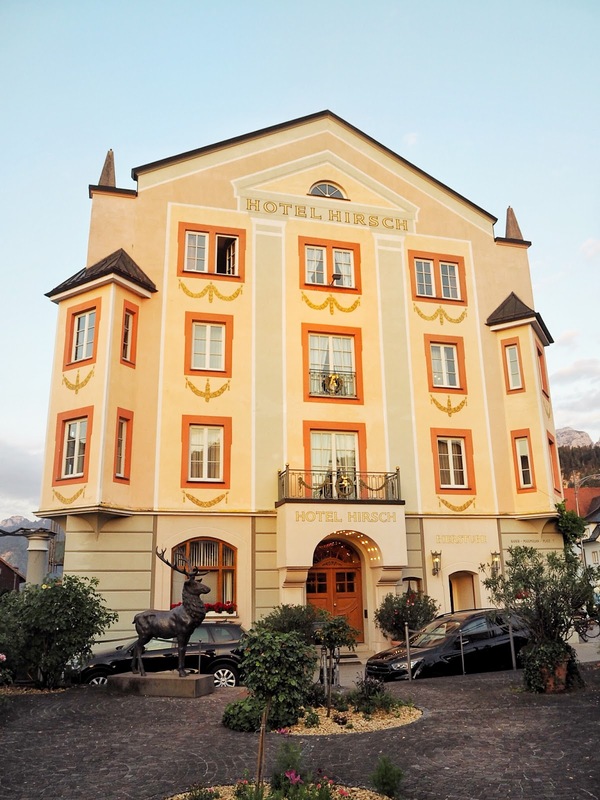 Our hotel for the night was Hotel Hirsch, an independent hotel that looks like it's been pulled straight from the mind of Wes Anderson himself. The boy did good with this one, I'm telling you! The parking was free and the night also included breakfast, so I was very impressed. The room we stayed in was themed like a castle interior, with lots of deep wooden furniture with cute turret accents. 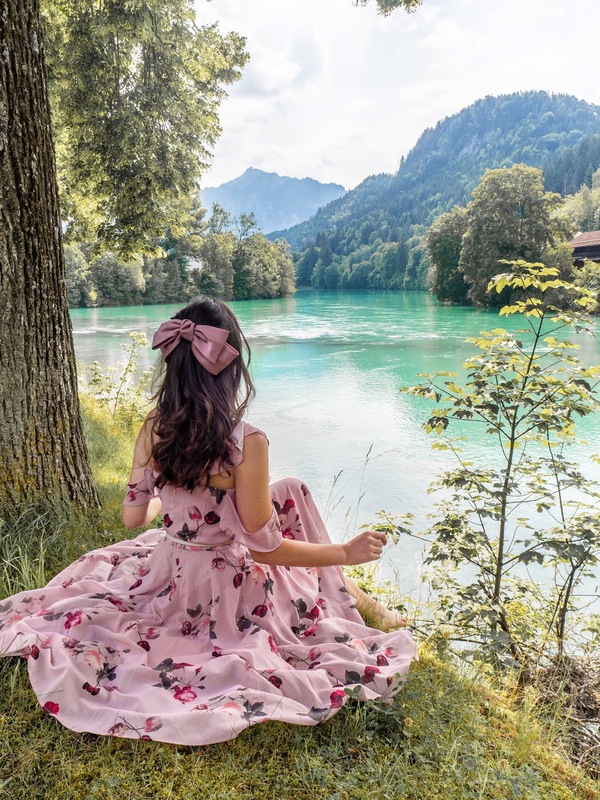 Füssen is located only a five minute drive from the Neuschwanstein Castle, so it was the perfect place to set up camp. If I'm honest, I wish we had spent two nights here, because I loved it so much. We explored the town itself more on the second day, and found it to be bustling with all kinds of people. There were also some beautiful spots along the riverbank that gave stunning views of the mountains. 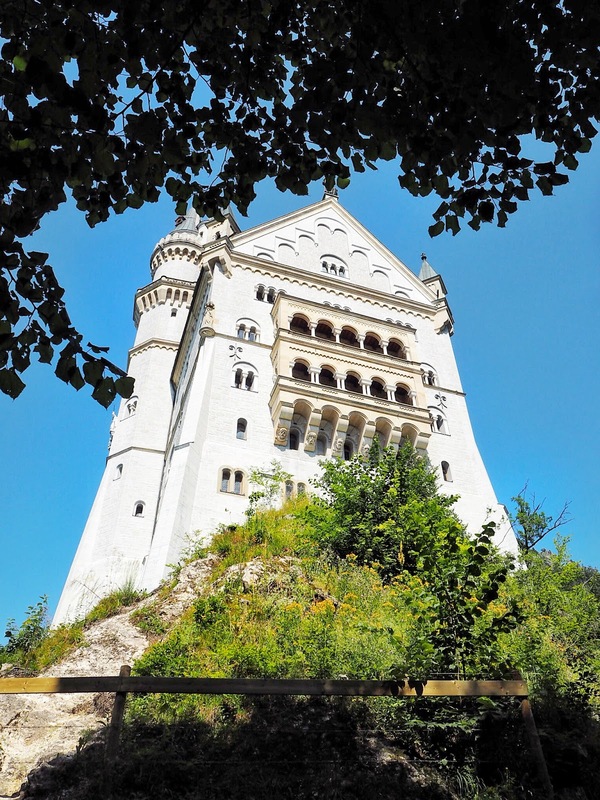 Despite initially planning on visiting Neuschwanstein early on the second day of our trip, we ended up driving straight there from Oberammergau, as the weather was clear and there was rain forecast for the following day. Words can't even describe how much I adored this castle. These photos really can't do justice to seeing it in real life. All I can say is that it literally took my breath away. It was everything I could have imagined and more. The legendary castle sits atop a rather steep hill, which you can't drive up. We parked in the car park at the bottom which was about €6 for the day, so not too bad. We then had a choice: to pay to take one of the regular buses that drives up the winding path to the castle, or to walk it. Despite the weather being pretty toasty, we went for the walk. They say it takes about 40 minutes to walk up to the castle but I think it took roughly 30, even with the rest stops on the way up. Bear in mind, even if you do get the bus it won't take you all the way to the entrance or the Marienbrucke bridge (the main viewing point), so I think its worth walking it, just to say you did it. There's also the option to get a horse drawn carriage but I'm always a little wary of paying for any service that involves animals, as you really don't know how they are treated. 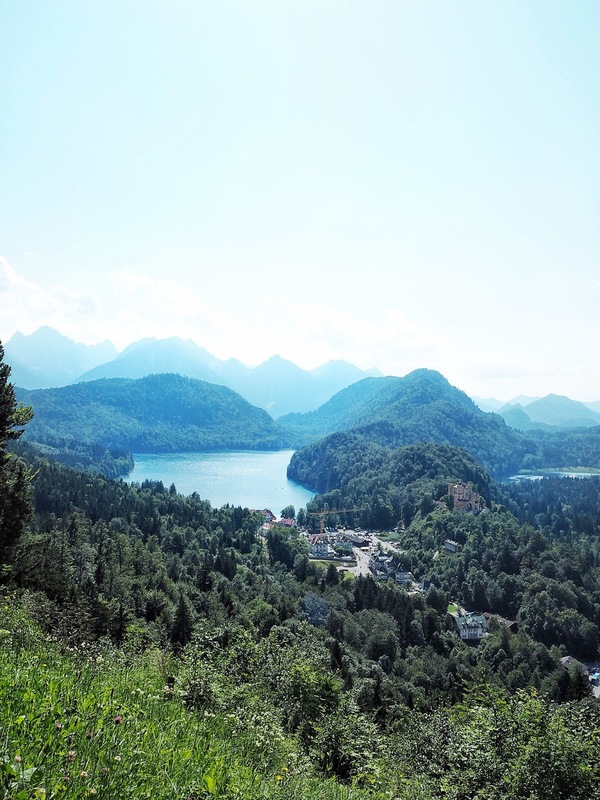 Once we reached the top of the road, we were greeted with some spectacular views, not just of the castle but the beautiful Bavarian countryside and mountains. It was such a beautiful day. 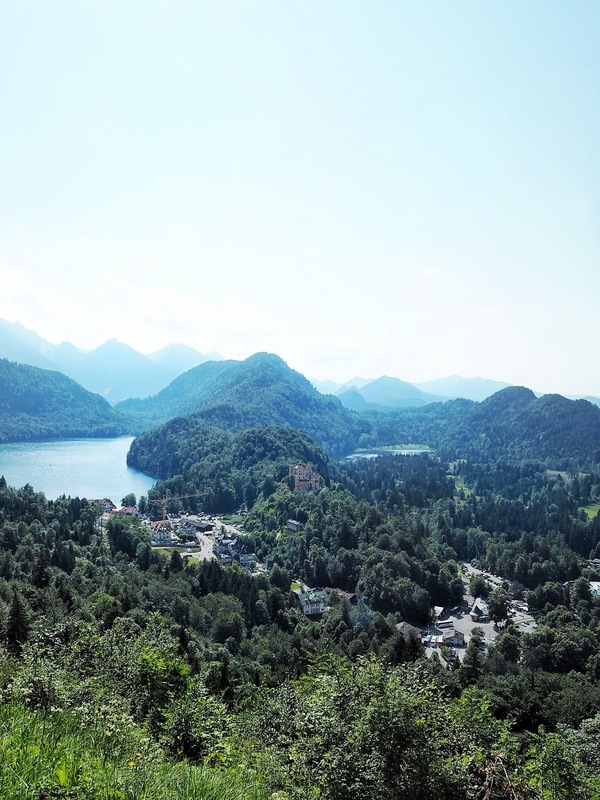 After spending a fair amount of time at the top, admiring the view and never wanting to leave, we took a significantly quicker walk downhill back to the car and drove back to Füssen to rest up for the evening. After leaving Füssen, we decided to drive straight to the Linderhof Palace. 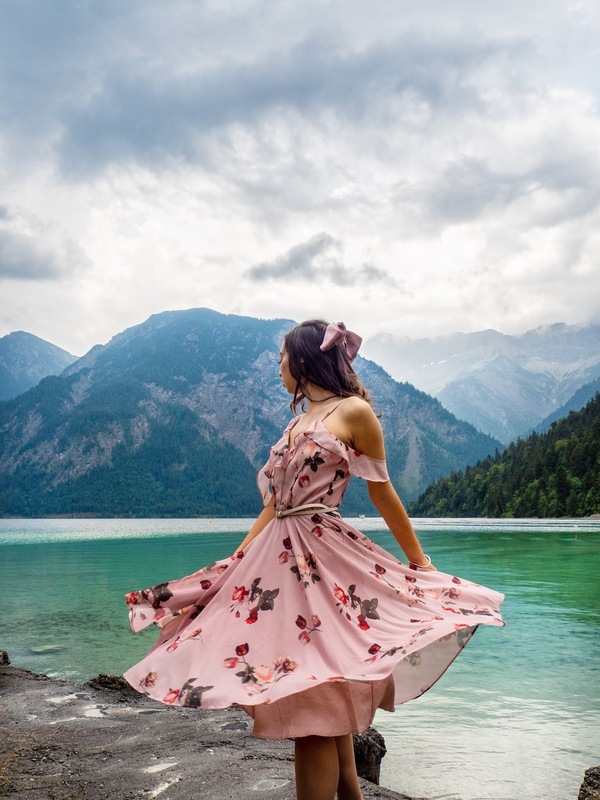 Unbeknownst to me, this route actually took us across the border and into Austria, where we came across the most stunning lake I've ever seen. The colour of the water was just unreal - crystal clear turquoise. The clouds were rolling in and we prepared for rain, but not before snapping some shots at this mind-blowing location. 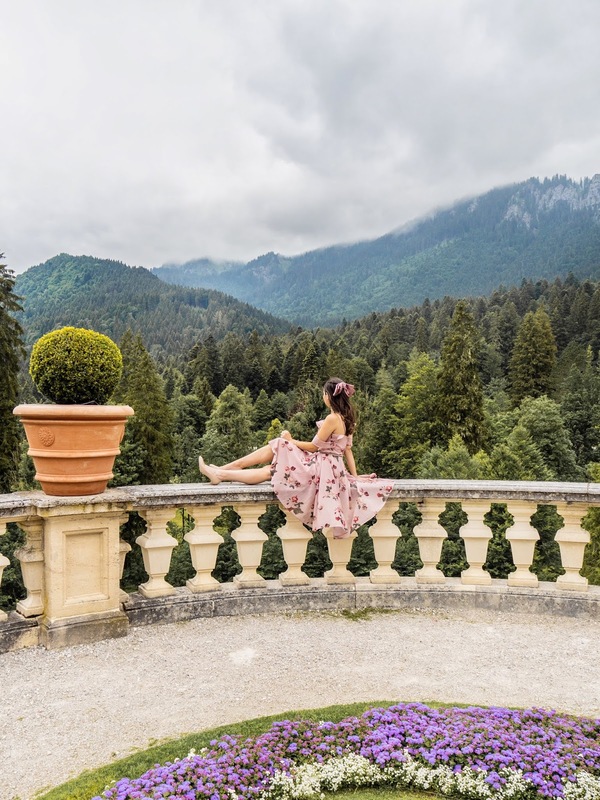 The Linderhof Palace, aka Neuschwanstein's little sister, is just as beautiful in its own right, albeit very different. We stopped here on the route back to Munich and I'm so pleased we did. The place was far busier than my photos make out, but we were very lucky and managed to get a shot right on time! Again, we didn't go inside but you can, but if you don't it's free to explore, other than the parking which was only €2,50 so well worth it! 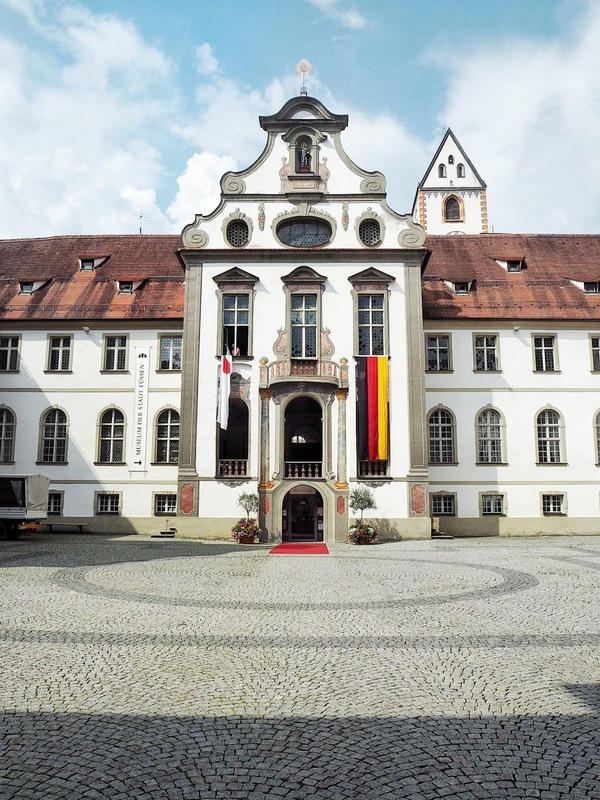 It's in the little town of Ettal, which we didn't get a chance to visit properly but drove through and I'd definitely recommend stopping there too if you have the time! In the end, we found ourselves back where we started - the city of Munich. We stayed in Le Méridien, Munich which was a nice hotel, but if I'm totally honest I wish we had stayed in Hotel Hirsch for two nights instead. My boyfriend booked through Alpha Rooms who failed to write on their website that parking was not free. Parking was in fact €30 a day and we were there two days. We did complain to Alpha Rooms about this, but their excuse was "You should have checked the website yourself", a very confusing response from a booking company who's sole job is to give you all the information about a hotel, but ok.
Breakfast was also not included here, that was another €30 each, per day, so we declined. It just all seemed a little excessive. 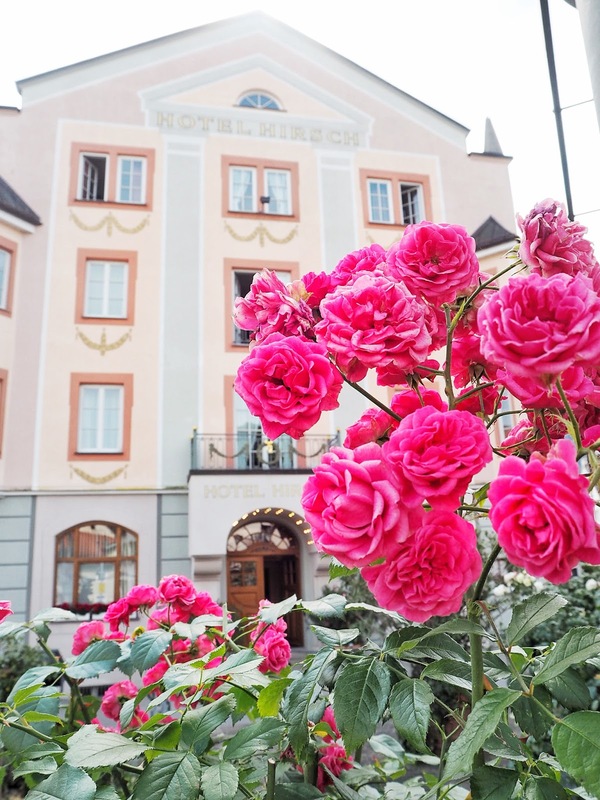 Considering my boyfriend paid a lot more for this hotel than Hotel Hirsch, it just felt a little disappointing when we had had such a fab experience in Füssen. 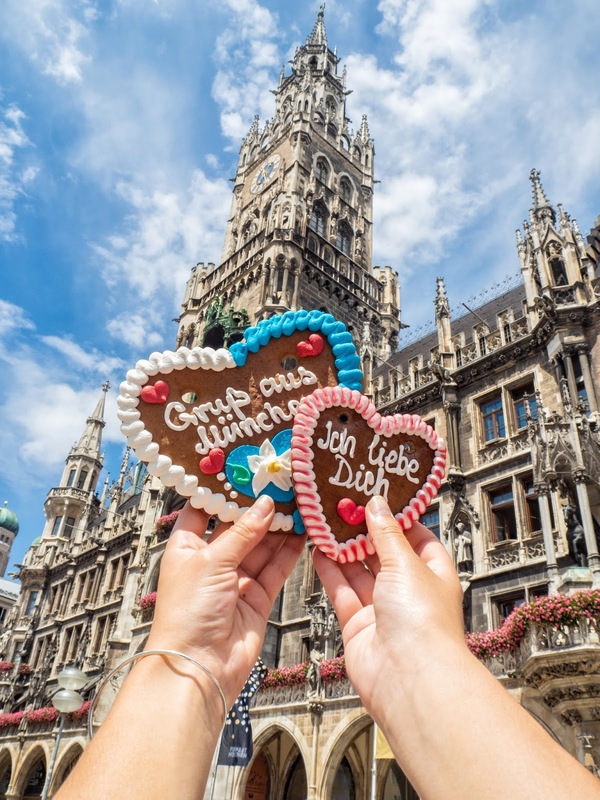 If I'm honest, I didn't love Munich, not just because of the hotel fiasco, but just because the city was very busy and kind of dirty. I didn't hate it, but I probably wouldn't go back. Nonetheless, we did visit some nice spots, which I would definitely recommend if you find yourself there. 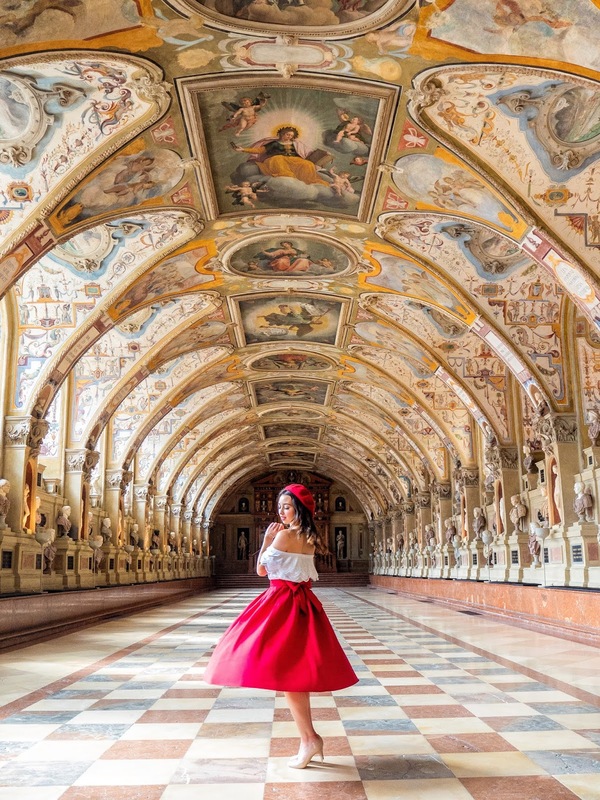 I mean, there's not much I can say about the Munich Residenz except, WOW! My favourite part was the stunning Hall of Antiquities, with its beautiful painted ceiling and checkered tiles. It felt like being thrown back in time and I really did love it. 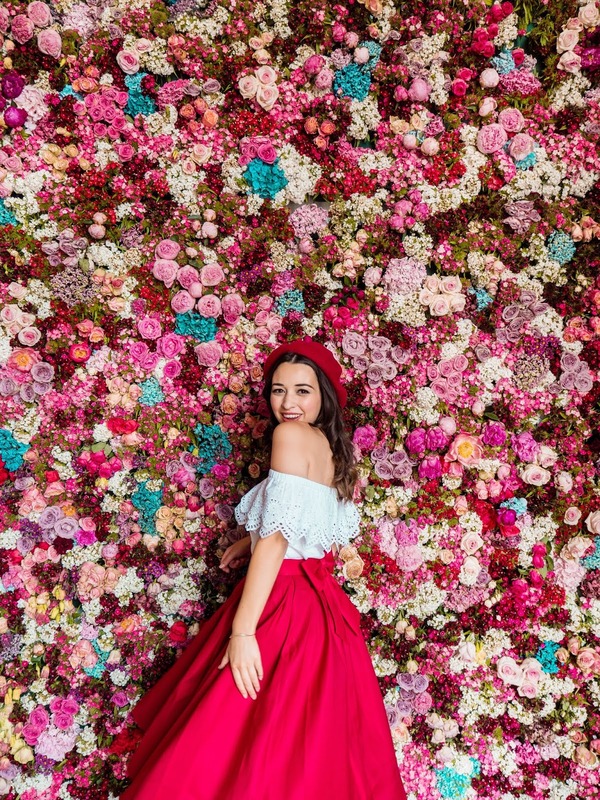 We also found a surprise flower wall at the Residenz, made from real flowers! I couldn't for the life of me find out why it was there, but it definitely made my day for sure. Entrance to the museum is €7, which I think is worth paying just for the beautiful hall, if I'm honest! The place is also huge, so you could easily spend a few hours in there. 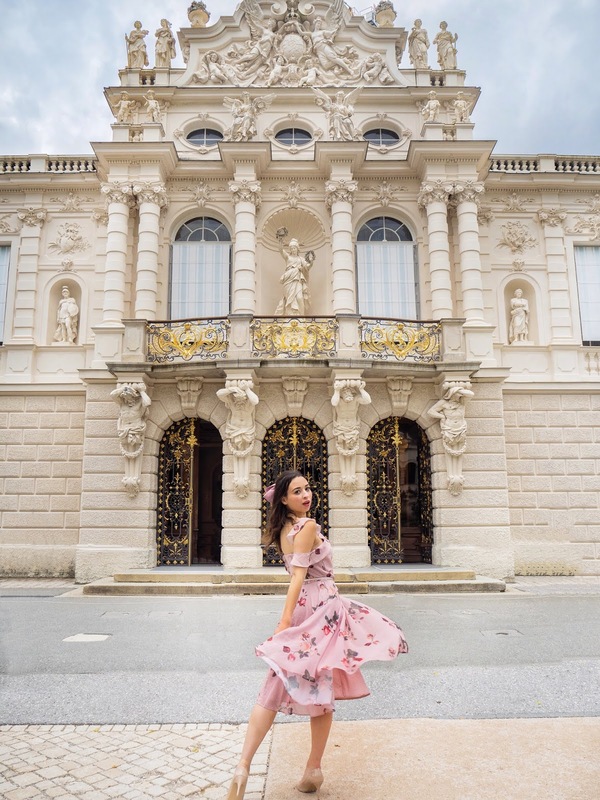 A classic Munich hotspot, the New Town Hall is definitely worth exploring. The interior is like roaming the hallways of Hogwarts, so if you're a Harry Potter fan like me you're going to love it. It's free entrance and it also contains the Municipal Law Library, which was the one place I really wanted to visit but was closed for renovation (noooooo). You'll just have to go there on my behalf and tell me what it's like (I know it's beautiful!). 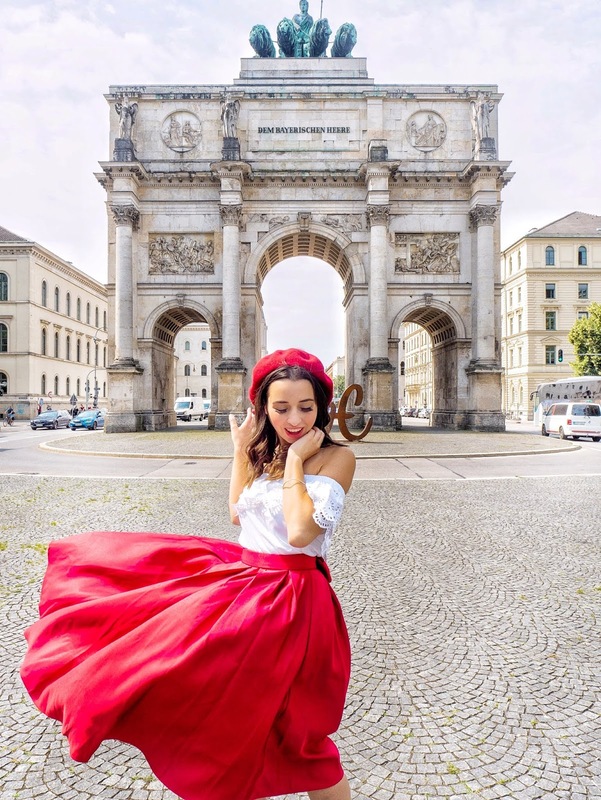 I pretty much dubbed this the 'Arc du Triomph' of Munich, because it really is like a small Arc Du Triomph. 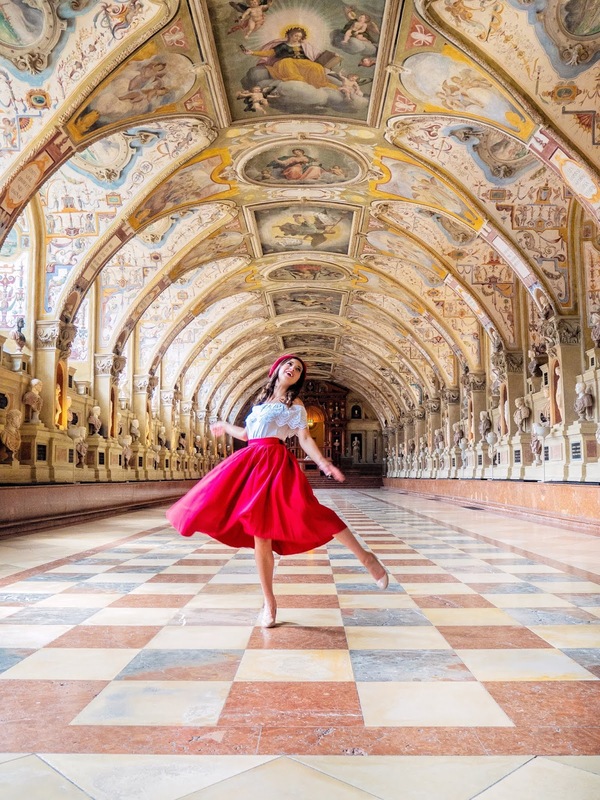 It was created by our old friend King Ludwig (who created both Neuschwanstein and Linderhof) to celebrate the glory of the Bavarian Army. It also has some lovely "Love" sculptures either side, which were very cute. 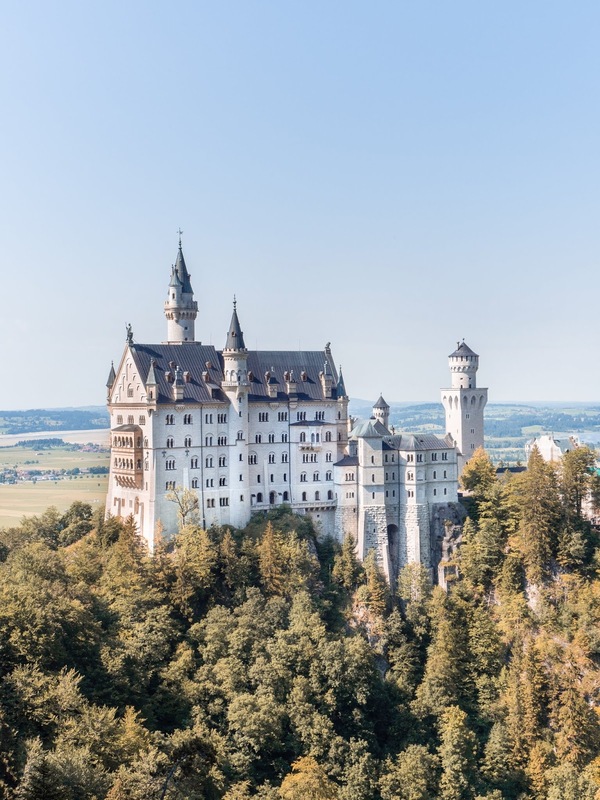 I hope you enjoyed a little look into our road trip across Bavaria and I hope it's also given you some inspiration to plan your own trip if you've ever wanted to visit the Neuschwanstein Castle. It really was a dream come true for me and I am so happy we got to visit. I certainly won't be forgetting it in a long while!